In January, Blessing the Children received an email from Toothbrushes for Toddlers, offering to send toothbrushes for the children. 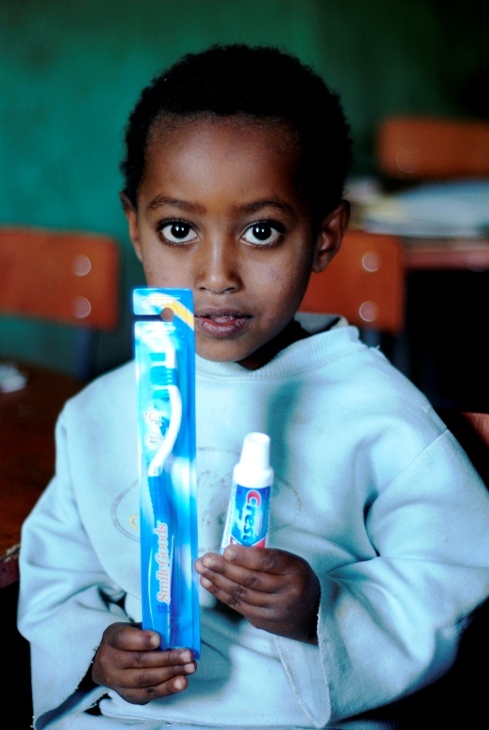 In Ethiopia, a real toothbrush is generally not considered a necessity, like it is in first world countries. 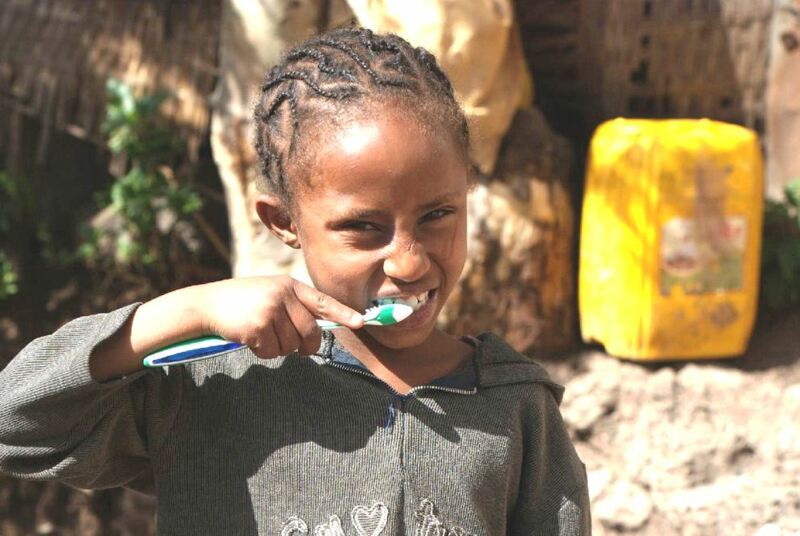 If a person even brushes their teeth in Ethiopia, it is usually with a “chew stick”, which is basically a small stick or twig that they chew on. 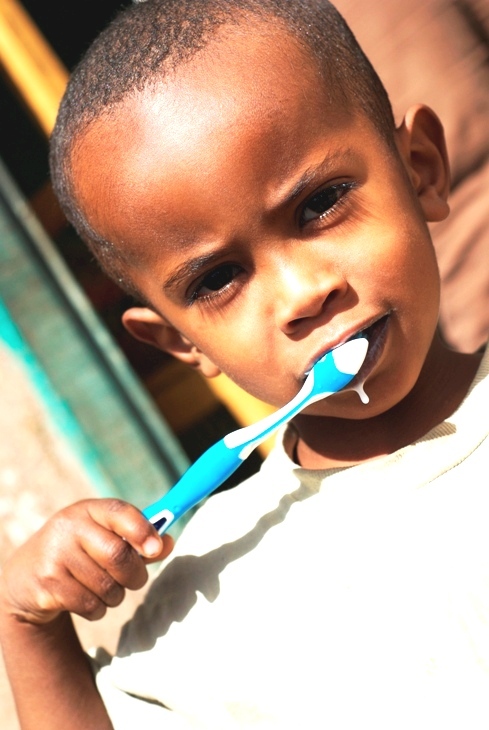 We were so happy to receive the email from Toothbrushes for Toddlers and gladly accepted their offer of toothbrushes. 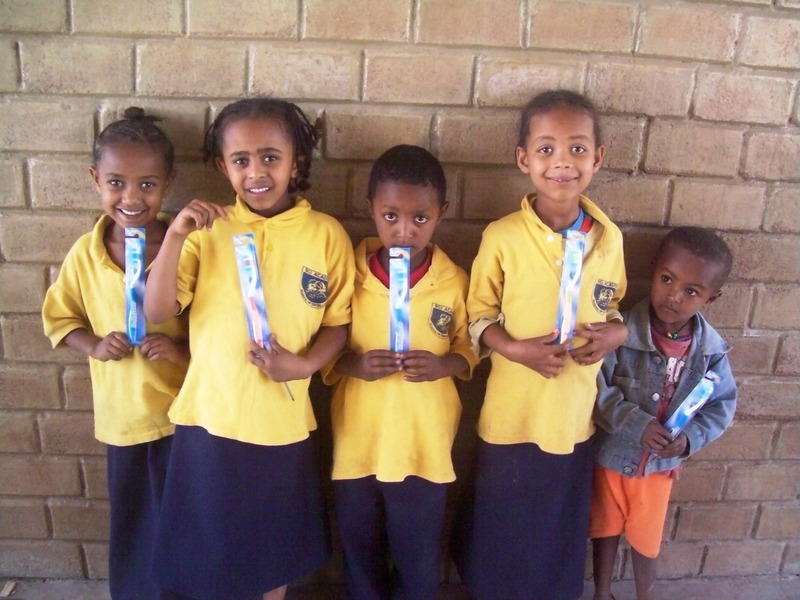 We received the toothbrushes a few weeks ago and sent them with a team member. Below you can find a some pictures of the children with their new brushes. Thank you Toothbrushes for Toddlers!! Isn’t it so great to see young people reaching out and making an effort to improve the world around them? Three young ladies (8th grade) from North Dakota are participating in an extra-circular in their school called FCCLA (Family Career and Community Leaders of America). Their project this year was to put a change jar in each classroom of their school to raise money for Blessing the Children. We just love seeing schools encouraging their students to make an impact on the world around them. 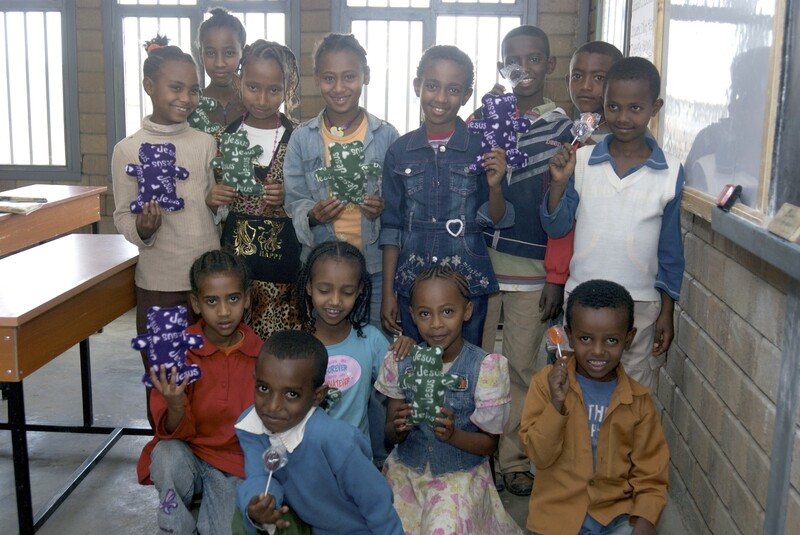 These ladies went a step further though, and decided to make teddy bears and cards for the children. 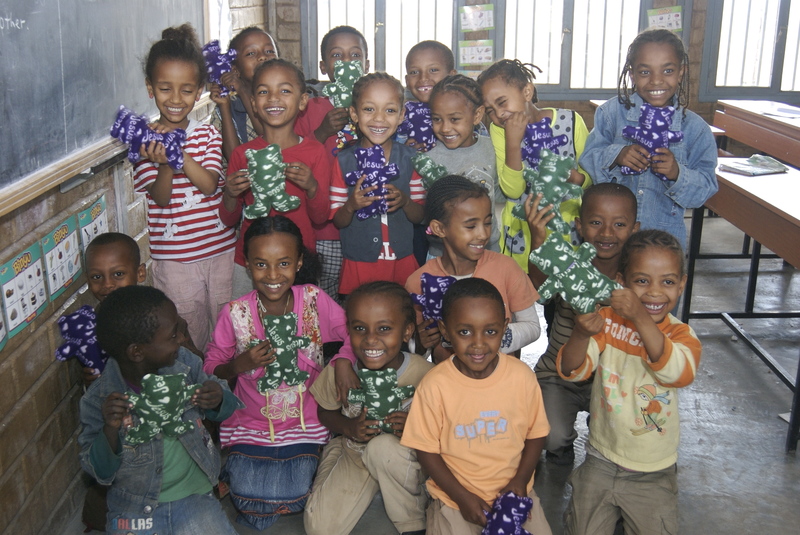 Since most children in Ethiopia don’t have a single toy or stuffed animal, this was a very special treat. Check out the pictures below…..
Just look at those smiles! !